Mercy International Organization has created a resource for Lent related to the United Nations Sustainable Development Goals (SDG’s) . A few days are assigned to each of the seventeen SDG’s, with readings and a few thoughts to consider in your daily life related to each goal. To download this free resource, click here. The World Council of Churches Ecumenical Water Network has created a campaign “Seven Weeks for Water” to provide weekly reflections and other resources on water for the seven weeks of Lent. Each reflection starts with a scripture and then the author’s reflection. There are also reflection questions for the reader and possible actions to take. The first reflection, “Challenging gendered water: an important step towards women’s empowerment” is by Renemsongla Ozukum, a theologian and a member of the Baptist Church Council, Nagaland India. The reflection is focused on John 4: 4-26: And Jesus said to her, “I am the Living Water”..…everyone who drinks the water will never be thirsty again. The second reflection, “Pilgrimage of water justice in the context of India” is by Dr.Geevarghese Mor Coorilos, Bishop of Niranam diocese of the Jacobite Syrian Orthodox Church in India. He also serves the World Council of Churches as Moderator of the Commission on World Mission and Evangelism. His reflection comes from John 4:1-30: Samaritan Woman at the Well. The fourth reflection, “Stigma and discrimination: an impediment to human right to water, with specific reference to Casteism in India” is by Rev. Dr Raj Bharat Patta. He is an ordained minister of the Andhra Evangelical Lutheran Church in India and served the Student Christian Movement of India as its national General Secretary. He has also worked for the National Council of Churches in India as one of its Executive Secretaries. His reflection narrates the story of Hagar through her voice, when she was left in the desert to fend for herself without an adequate supply of water to survive with and to keep her son Ishmael alive. Patta, draws similarities between the Dalit communities in India and that of Hagar, when it comes to access to water. The last three reflections are as follows: “Secure water for food security and climate adaptation”, “Leaving no one behind: the crux of water for all in the context of SDG 6”, and “Privatisation of water: an onslaught to human right to water in Asia”. These will be available at the beginning of each of the coming weeks. To read more about the Seven Weeks of Water, click here. This document from Bread for the World provides nine biblical themes that guide their mission to end hunger. They cite scripture for each theme to show why they believe it is their duty to love all people and ensure that no person goes hungry. To read more, click here. Bread for the World: Have Faith. End Hunger. 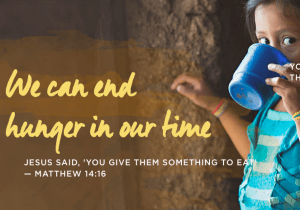 Bread for the World is a collective Christian voice urging the nation’s decision makers to end hunger at home and abroad. By changing policies, programs, and conditions that allow hunger and poverty to exist, they provide help and opportunity at home and abroad to end hunger. 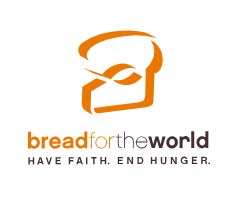 To read more about Bread for the World or to get engaged with their work towards eradicating hunger, click here. Catholic Relief Services (CRS) created Ark of Hope as a way to get communities engaged in a fun and creative way. Relating to the hope and promise from the story of Noah’s Ark, the CRS Ark of Hope program allows communities to donate symbolic animals to people in need as they “build an ark.” As communities work towards their goal, they can color in animals and place them on an arc. The materials included with this program are lesson plans, a prayer service, coloring pages, and a bulletin-board Ark to show the progress communities are making towards reaching their goals and building their ark. To read more or begin an Ark of Hope, click here. Time for Living the Change Media Toolkit is a resource from Living the Change that offers ways to use social media and other forms of media to help advertise and market a sustainable living event. They offer logo examples, email templates, social media and outreach tips, and more. To read more or download the media toolkit, click here. Building Regional Food Hubs: A Conference Connecting Healthy Food, Farms, and Communities is an event dedicated to the life and work of Patrick Kaufman on Friday, November 9th in Delaware, Ohio. Attendees will learn from food system projects across Ohio, including in the Mansfield and Columbus area, and connect with food system practitioners from around the state. There will be a group of speakers including: Anna Haas, Local Food Connection in Cincinnati, Ohio, Piper Fernwey, Bon Appétit Management Company, Leslie Schaller, Appalachian Center for Economic Networks (ACENet), and Casey Hoy, The Ohio State University Initiative for Food and AgriCultural Transformation (InFACT). The registration fee is free for students and $10 for others. To learn more or register for the event, click here. God’s Good Creation is a vacation bible school (VBS) resource from Evangelical Lutheran Church in America. 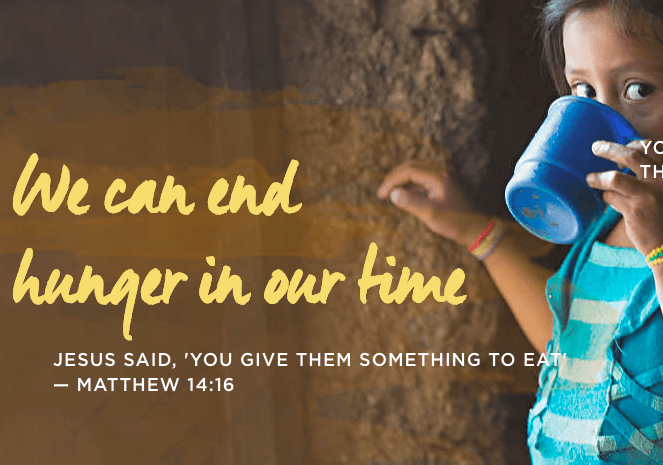 The VBS focuses on teaching children about hunger, hope, and the work to which God calls on us to aid in ending hunger for good. There are five days that each contain learning activities with different themes. 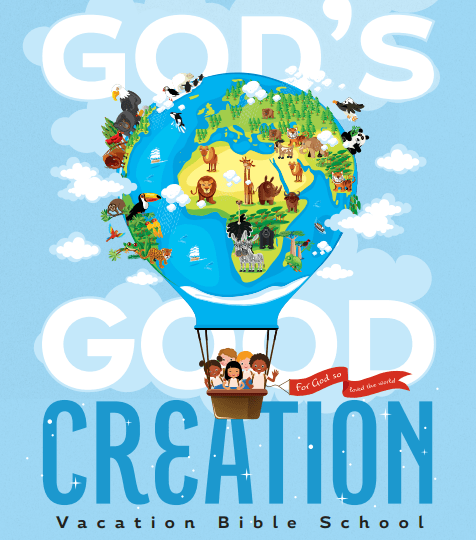 To read more or download God’s Good Creation, click here. 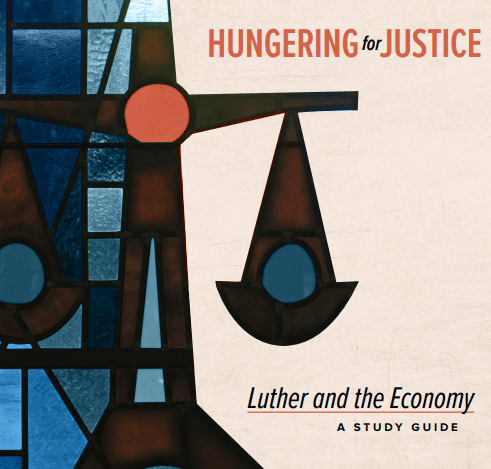 Hungering for Justice; A Luther and the Economy Study Guide is a resource from the Evangelical Lutheran Church in America. This extensive study guide covers topics such as sustainability, caring for creation, household economies, food and hunger, and more. To read or download the entire study guide, click here. Air Pollution and Public Health is an article from United Methodist Women. It focuses on the impacts that air pollution has on health, specifically in communities of color and children. It goes on to discuss environmental justice and ways to combat this injustice. To read more, click here.